Swain, Birds and Bones are back with more Crucible chat and discussion. 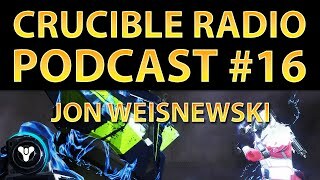 As foreshadowed in last week’s interview with Jon Weisnewski, Bungie announced that shot backage is being removed as a perk, which could have a serious impact on the meta. The guys discuss whether or not this will change the way shotties are used, or if rangefinder will simply fill the gap. And of course, they couldn’t put it off any longer – Sunbreakers have been running rampant in the Crucible and everyone is talking about them. Are they OP, or do players need to learn how to counter? 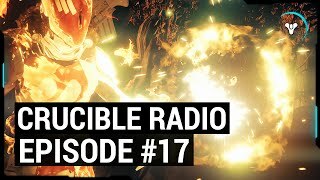 Later, Crucible Radio is joined by YouTuber and Titanbro Leon Young, who’s got thoughts on the class that everyone is up in arms about. He’s got a favorite Titan subclass, but it’s not the answer you’d expect. Leon also discusses some strategies for improvement and how he’s approached the D2 meta.